What needs to be considered when using Ever in offices and studies? tretford Ever is suitable for use in living areas. If your office chairs are on wheels you should safeguard your carpet by using a heavy duty plastic carpet protector. Does tretford have to be glued down? The entire surface area of the continuous carpet should definitely be glued to the sub-floor with a suitable carpet glue in order to guarantee the full 5 year warranty. Careful preparation of the sub-floor is essential for optimum results. Please also observe our detailed carpet laying instructions. Why is broadloom carpet only available in a width of 2 metres? Owing to production factors, it is not possible to manufacture tretford carpets wider than 2m. The advantage of this width is that the carpet rolls can be transported more easily in stairways, for example. Are the seams obvious when several carpet webs are laid side by side? It is not possible to prevent a slight seam when laying several carpet webs. A particularly neat seam can be achieved by trimming the factory-finish edge. As a rule, it is virtually impossible to perfectly align the individual ribs in two webs because the carpet shifts slightly as the glue dries. Usually the seam is quite noticeable right after laying when the room is still empty of furnishings. In our experience, this appearance soon diminishes due to the traffic on and use of the carpet. With time, the ribs "settle" and the individual fibres become overlapped. This conceals the seam somewhat so that it is less noticeable. It is, however, not possible to make the seam completely "invisible". What do I need to consider when laying tretford on stairs? Use tretford stair profiles when laying tretford Interland or Ever carpet on stairs. We recommend tretford INTERLIFE broadloom carpet for stairs with heavy traffic. Are tretford Ever products manufactured without mothproofing treatment? Yes, thus tretford Ever is an alternative for anyone wanting to do without such substances: it is deliberately manufactured without the addition of mothproofing agents. All other tretford carpeting qualities with natural materials are treated with mothproofing agents, more specifically with permethrine. The GUT (Association for Environmentally-Friendly Carpeting) calls for all carpeting made of natural materials to be protected against moths. To do so requires at least 120 mg permethrine for every kg of wool or hair. We comply with the prescribed quantity. 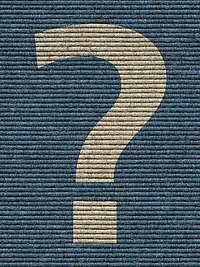 What do I need to consider when laying carpet over underfloor heating systems? When laying tretford continuous carpet over underfloor heating, make sure the entire surface area is glued down. Observe the supply temperature of the heating system. An electric underfloor heating system, for instance, has a supply temperature that is too high, which is why tretford carpet is not suitable for use with this type of system. Ensure that there is sufficient relative humidity during the heating period. Can tretford also be used in cellar rooms? Prior to laying tretford carpet, regardless whether carpet tiles or continuous carpet, ensure that the sub-floor is absolutely dry, level and free of all grease and dust. It is essential that a moisture barrier be added prior to laying the carpet in damp cellar rooms to prevent the carpet from warping. What is the difference between INTERLAND, EVER and INTERLIFE? The pile material of tretford INTERLAND and EVER consists of 80% Cashmere goat hair and 20% pure new wool. It offers superior comfort for your living quarters. As broadloom, Ever (without a mothproofing agent) is available in 40 different colors. Our trendy “Dolce Vita” and “Voyage” color collections provide additional design options for interiors fitted out with INTERLAND broadloom or carpet tiles. The pile material of tretford INTERLIFE consists of 70% Cashmere goat hair and 30% polyamide. This highly durable carpet can thus be used in areas that experience heavy foot traffic or in offices with caster chairs. INTERLIFE is available as broadloom, carpet tiles and carpet floorboards in 40 different colors. Why is the texture of tretford carpeting not perfectly even throughout? We primarily use the long top hair of Cashmere goats. And this differs in color and texture from animal to animal. It is collected once a year and subsequently sorted and gently washed. Cashmere goat hair is a natural fiber. The Cashmere goat’s natural habitat can be quite harsh and this hair is subjected to extreme weather conditions. It thus shows certain irregularities. Even our unique manufacturing process cannot fully compensate for these irregularities. Natural color deviations are also possible as is some unevenness in the carpet’s ribbed texture. All this is part of the unmistakable character of Cashmere goat hair. Just like linen, our carpeting has specific little irregularities; these are typical for genuine tretford carpeting, which is one-of-a-kind. What should you bear in mind when using tretford in an office or study? Both our INTERLAND broadloom carpeting and our INTERLAND tiles are suitable for residential use. A plastic chair mat should be used beneath office chairs on castors. tretford INTERLIFE broadloom, tiles or carpet floorboards for heavy-duty use (Class 23 Heavy domestic use/Class 33 Heavy commercial use). Owing to production factors, it is not possible to manufacture tretford carpets wider than 2m. The advantage of this size is that the carpet rolls can be transported more easily in stairways, for example. It is not possible to prevent a slight seam when laying several carpet webs. A particularly neat seam can be created by trimming the factory-finish edge. As a rule, it is virtually impossible to perfectly align the individual ribs in two webs because the carpet shifts slightly as the glue dries. Can tretford also be used as a play mat or area rug? tretford Interland is actually fitted carpeting, however, smaller pieces of up to 4 or 5 sqm are often used as play mats in kindergartens or children's rooms. Interland broadloom is also used to make tretford’s 'Interart' carpeting, runners or edged rugs. To do so, broadloom carpet is cut to size and finished by hand into an individual or custom rug. Both our INTERLAND broadloom carpeting and our carpet tiles are suitable for residential use. A plastic chair mat should be used beneath office chairs on castors. Alternatively (without the use of a chair mat), we recommend tretford INTERLIFE broadloom, carpet tiles or carpet floorboards for heavy-duty use (Class 23 Heavy domestic use / Class 33 Heavy commercial use). What do I need to consider when laying the carpet tiles? tretford carpet tiles are specially developed for laying in a checkerboard pattern. Due to the surface texture, a perfect crosshair cannot be achieved at the intersection of 4 neighbouring carpet tiles. The carpet tiles are non-skid and can be laid loosely (from wall to wall) in the room. For smooth subfloors, or for large surfaces of ca. 30 m² or more, these tiles can also be installed using off-the-shelf carpet glue that is suitable for fleece-backings. Can carpet tiles and carpet floorboards be installed together? Since tretford’s carpet tiles are installed in chess board pattern (offset by 90 degrees) while carpet floorboards are installed facing the same direction, it’s not possible to combine them in one floor design. Owing to production factors, it is not possible to manufacture tretford carpets wider than 2m. The advantage is this width is that the carpet rolls can be transported more easily in stairways, for example. Usually the seam is noticeable right after laying when the room is still empty of furnishings. In our experience, this appearance soon diminishes due to the traffic on and use of the carpet. With time, the ribs "settle" and the individual fibres become overlapped. This conceals the seam somewhat so that it is less noticeable. It is, however, not possible to make the seam completely "invisible". What do I need to consider when laying INTERLIFE on stairs? Tretford INTERLIFE broadloom is unusually hard-wearing. Use tretford stair profiles to protect edges that are subjected to extreme stresses. For further information, please consult the carpet laying guidelines for INTERLIFE broadloam. What do I need to consider when laying the carpet floorboards? Boasting a special fleece backing, tretford INTERLIFE floorboards are designed for loose-lay installation. They can, however, also be fastened to the subfloor using standard commercial fluid tackifiers (z. B. Uzin U 1000, Thomsit T425 Tackifier) that are appropriate for fleece backings. This is a good option for large surfaces of ca. 30 m² or more in residential spaces, for example. When used commercially with castor chairs, using a tackifier adhesive for the floorboards/tiles is indispensible. A special manufacturing process prevents tretford carpets from fraying and allows them to be easily cut. Prior to laying tretford carpet, regardless whether carpet floorboard, tiles or continuous carpet, ensure that the sub-floor is absolutely dry, level and free of all grease and dust. It is essential that a moisture barrier be added prior to laying the carpet in damp cellar rooms to prevent the carpet from warping. Owing to the surface structure, it’s not possible to get accurate crosshairs where the 4 tiles meet. Specially conceived with fleece backing, the tiles are made for loose lay installation. They can, however, also be glued down to the subfloor with standard commercial fluid tackifiers that are appropriate for fleece backings. This is a good option for large surfaces of ca. 30 m² or more in residential spaces, for example. When used commercially with castor chairs, tackifier adhesive is a must. A special manufacturing process prevents tretford products from fraying and allows them to be easily cut. What do I need to consider when laying runners? Tretford runners are manufactured from INTERLFIFE broadloom and thus come with a jute backing. Depending on the sub-floor, we recommend using an anti-slip mat in conjunction with the runner. In which widths are runners available? Our runners only come in a width of 1-metre. What uses are tretford runners best suited for? tretford runners are practical in a variety of ways: They are perfect for corridors, bedrooms and public buildings. Keep in mind, though, that these runners are for indoor use only. tretford has a special range of 'Sauberlauf' products for outdoors areas and foyers. How are tretford area rugs manufactured? tretford’s INTERART styles are so-called 'edged carpets'. The individual parts are cut from Interland broadloom and assembled into area rugs. This is done using precision craftsmanship at our plant in Wesel. What sizes do the rugs come in? Up to a point, these rugs can be manufactured according to your needs. Recommended sizes and proportions are accessible in this overview. What kind of backing do these rugs have? INTERART rugs are made of INTERLAND broadloom, which comes with a jute backing. Subsequently they receive a secondary textile backing (fleece). What do I need to pay attention to when laying out my area rug? Depending on the sub-floor, we recommend using an anti-slip mat in conjunction with your area rug. Is it possible to get the rugs larger dimensioned than 2m? Even though the broadloom is just 2m wide, it is possible the manufacture rugs with a max. width/diameter of 4m. To do this, we cut two equal sized pieces/semicircles that are permanently interlinked by means of a so-called 'hotmelt seaming tape'. The rugs are subsequently furnished with a textile second backing to provide additional stability and comfort. Do these rugs have seams? Since the rugs are over 2m, they fashioned out of two parts and thus have a seam in the middle. Depending on the way the light falls, this seam is more or less visible. What kind of backing do the rugs have? Our rugs are manufactured of 2m wide broadloom. Rugs that are up to 2m wide come with the standard jute backing. For added stability, an additional textile (fleece) secondary backing is fused onto rugs larger than 2m, in other words, rugs that are made from 2 parts. What do I need to consider when laying the rugs? tretford rugs have either a jute or a fleece backing depending on the rug’s size. Depending on the sub-floor, we recommend that you use it in conjunction with an anti-slip mat for your own safety. How are the skirting boards attached? tretford skirting boards are self-adhesive. This makes attaching them to the wall very easy. In which tretford colours are skirting boards available? Skirting boards are available in matching colors for all tretford carpets. In which sizes are tretford stair mats available? tretford stair mats are available as standard in 65 x 23 x 3.5 cm (semicircular or rectangular). But, other sizes or formats are also available upon request. Please see your tretford dealer for further assistance with this. How are stair mats installed? Stair mats are self-adhesive and thus very easy to install. Can I use stair mats to create a multi-colored design on my staircase? tretford stair mats are available in numerous colors and also individually. Thus, it is no problem to design a staircase with stair mats in different Colors. How do I install stair profiles? Stair profiles should only be installed by a professional. You can find one with the help of a store locator. Can stair profiles be used with carpet tiles? No, this is not possible because the stair profile groove is specially conceived for the width of tretford broadloom. Can trebo Entrance Matting be used indoors? trebo Entrance Matting with FLEX backing was developed especially for indoor use. The backing is impermeable to water and thus protects high quality flooring, such as marble and parquet, from moisture. At the same time, trebo Entrance Matting with FLEXbacking also offers skid resistance and effective dirt and moisture trapping. trebo lines with FLEX backing: Cross, Grand Prix, Median, Meteo, Sirius and Twist. Can trebo Entrance Matting be used outdoors? trebo Entrance Matting with SAFETEX backing was developed especially for outdoor use. The backing material offers two fundamental advantages all at once: It gives entrance matting skid resistance because it firmly grips the floor. Yet it also reliably conducts away moisture and water via a drainage system. trebo Entrance Matting stays dry longer – even with wet dirt. trebo lines offering SAFETEX and SAFETEX II backing: Cosmo and Kokos. Furthermore the trebo-products with the FLEX-backings duo and waffle (Cross, Grand Prix and Median) are perfectly suited for covered outdoor areas. In what direction do the troughs run in trebo’s Cosmo, Grand Prix and Twist entrance matting? The troughs run along the manufacturing direction, in other words, lengthwise to the carpet roll’s. Does trebo Entrance Matting feature edging finishes? Yes, entrance matting furnished with Flex backing (Meteo, Sirius and Twist) offer edging that run parallel to the manufacturing direction. The sloped edging on the left and right sides is 2.5 cm wide. For what areas is veledo suited? Veledo oR can be used both for furniture and for interior constructions (for example, furniture fronts). Veledo oR is not suitable for flooring purposes. Can veledo be installed in humid environments such as bathrooms? No, we don’t recommend veledo for damp areas because it can absorb water and swell. Spilled liquids should be quickly removed and accumulating moisture must be avoided. What is veledo made of? How do I clean veledo? To clean veledo, use lukewarm water and a soft lint-free cloth (micro fibre cloth is not suitable) and a gentle cleaning agent (neutral cleaner). You could not find an answer to your question?